Some casting calls were written in the stars. Surprisingly, a lot of marriages jump right from the film set down the aisle. You may have watched SNL or Resident Evil not knowing that love flared behind the camera. From James Cameron to Charlie Chaplin to Ben Stiller, learn which directors wed their actresses after the curtain fell. Some marriages lasted a lifetime, while others lasted less than two years. Can you predict most of these Hollywood couples? Learn which director/actress couple experienced a ghost haunting on their honeymoon . . .
Steven Spielberg chose beautiful and fun-loving Kate Capshaw over 100 other actresses for a leading role in Indiana Jones in the Temple of Doom (1984). Though Spielberg was married to the actress Amy Irving at the time, the two hit it off. 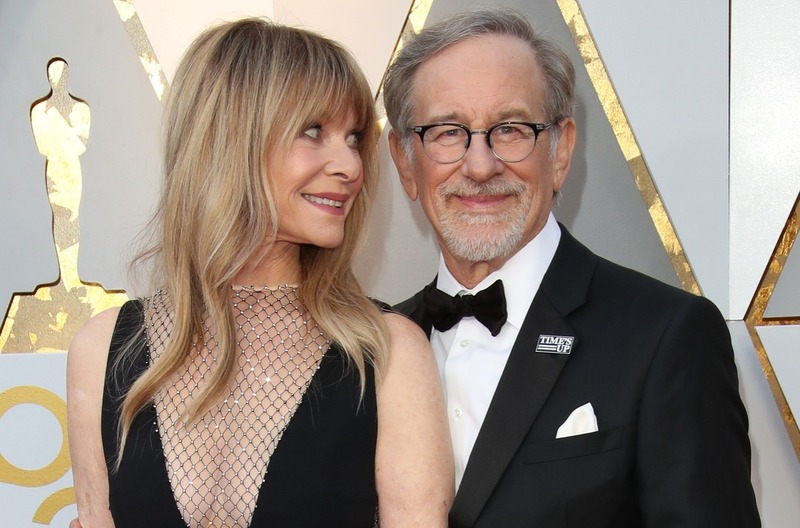 They married in 1991, with Capshaw even converting to Judaism to marry Spielberg. The marriage is still going strong to this day. They have seven children, two from previous marriages, three between the two of them, and two adopted.